A high home ownership rate of 90 percent has improved the lives of Singaporeans significantly. It allows us to enjoy the fruit of the country’s economic growth. It also gives us a stake in the country and something to fight for. Housing in Singapore has improved by leaps and bounds from humble squatter houses and over-crowded slums in the 1950s to world-class public housing today. HDB homes gives us the sense of security and comfortable environment to bring up our family. It also helps us to build the sense of belonging in our neighborhood and our nation. Our HDB flats are highly subsidized by the government. We have CPF accounts to pay for our mortgages. We have town councils to manage and maintain our housing estates. We have SERS and VERS schemes to help us upgrade old flats. What exactly are we unhappy about? Why are Singaporeans still complaining about the HDB flats? Why did National Development Minister Lawrence Wong’s “not all old HDB flats are eligible for Sers” speech alarm old HDB flat owners? Why did Minister Wong’s recent reminder that “a 99-year leasehold flat is an owned asset, not a rental” upset many Singaporeans? Because he shattered the housing dream of Singaporeans. We have put all our hope in our HDB flat. It is our home to live for as long as we need. It is our priciest possession that we believe can appreciate over time. It is the drive that makes us work hard every day. It is the debt that makes us willing to pay the bank first every month. It is the bond that makes us rooted in this Little Red Dot. Home ownership is our state religion and national doctrine. 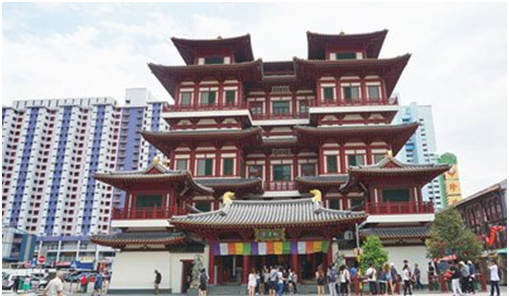 Singaporeans worship properties and believe that it is the only way to preserve our wealth. We devote our lifetime in the pursuit of owning our home and upgrading to a better home with our hard-earned money. And now you tell us that what we put our faith in is just “an owned asset” whose value can depreciate like any other asset? Financial crises in the last two decades have shown us that property prices can dive during bad times. An aging population and old flats make us question whether there is enough demand to support the value of aging flats. High cost of housing in a mature economy makes us wonder whether we have parked too much retirement funds in housing. In the newly-released UBS Global Real Estate Bubble Index 2018, Hong Kong tops the list with the highest risk of housing bubble. Average salarymen need to work 22 years to afford the down payment of a 60 square metre (645 sq ft) flat in Hong Kong. Prices of Hong Kong residential properties have jumped 165 percent in ten years’ time. New projects are made more affordable to buyers with 200 to 300 sq ft “micro units” which are sold at “mega prices” of S$1 million to S$1.38 million. Recently, the continual slide of stock prices, coupled with rising interest rates and an escalating trade war, have triggered a slump in Hong Kong’s housing market. For fear of a further plunge of the property market, sellers are slashing prices. Recent deals in large private projects were transacted at 10 to 20 percent lower compared with the peak just a month ago. Prices have retreated to the level of mid-2017. Buyers are expecting more price corrections and holding back on their purchases. Both the new and secondary markets report record low sales volume. Analysts now predict home prices to drop by 40 percent in two years’ time. The world’s priciest property market has finally cooled off. Imagine those who just bought their new home with 22 years’ savings for the down payment and a new 30-year mortgage? Nobody will buy properties if they know prices will be coming down soon. But the buyer who paid S$1.38 million for a 209 sq ft unit in Pok Fu Lam must be an exceptionally devoted disciple of the property religion to make that buying decision. In recent years, more millennials in Hong Kong who do not have rich parents simply renounce the religion of property. They give up on buying their homes, use their savings to travel around the world or migrate to places like Taiwan for greener pastures. Home ownership is part of the Asian culture. It is a tradition to associate getting married with buying a new home to start a new family. On the other hand, Europeans prefer to rent rather than buy. 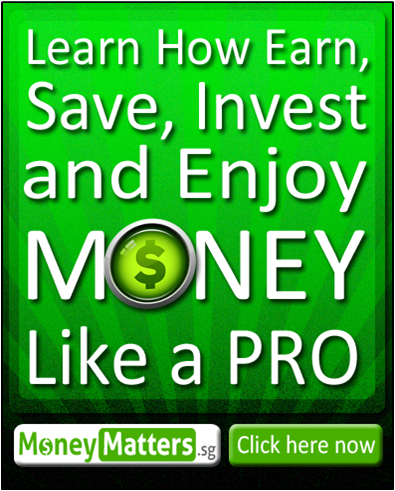 Because renting implies freedom and flexibility in lifestyle, career, mobility and finances. In my 2015 blog post “Should I buy or rent?”, I mentioned that it is a never-ending debate whether we should buy or rent. Afterall, this is very much an individual choice. The buy-rent breakeven point also depends on where we choose to stay and how long we are planning to stay there. Japanese philosopher and psychologist Ichiro Kishimi (岸见一郎), the co-author of best-seller “The Courage to Be Disliked” which sold over a million copies, shares an interesting view on marriages in his new book “The Courage To Become Happy”. It is about choosing your lifestyle. Once you believe in owning your home, you can buy anything. What, when and how much you buy become unimportant. When you decide to buy a property to stay in, it is not the commitment to buy a HDB, EC or condo unit. It is the commitment to the way you want to live your life. Because you believe that you must own the roof over your head, you have the courage to buy anything, at any time and at any price. For people who are renting and tell others that they have yet to find their ideal home, they are not going to find it. Because they simply enjoy the lifestyle of renting and being a tenant for the rest of their life. Is there true love or a soulmate in this world? Well, it depends. It is like seeing ghosts. Some people insist that they have seen spirits and describe their horrifying experiences in detail. Some people check into the world’s most haunted hotels and complain that nothing happened. If you believe, there are ghosts. If you don’t believe, there are no ghosts. How can the spirits show themselves to you if you don’t believe in them? Similarly, how can I convince you about the benefits of renting if you believe in owning your home? Conversely, how can I show you the satisfaction of staying in your own home if you don’t believe in buying? One day something unexpected happens and challenges your belief. You start to question your faith. The conflict in your heart disturbs your peace of mind. You no longer know which path to take. But remember that home ownership is a religion. It is you who chose to believe in it. It is you who picked the lifestyle. If you have converted, don’t question it. If you think it is more worthwhile to rent rather than to buy, don’t buy. If you see there is a better, fairer and more affordable alternative than HDB, go ahead with the better choice. If you find putting your money in your business, other asset classes, or homes outside Singapore makes more sense, do what suits you best. If you don’t have strong reasons to get out of the cult; you don’t have a much better option; you don’t perceive to be better off on the other side; if you can’t bear the costs of leaving it, then keep the faith, follow your destiny and accept your fate. Always keep in mind that home ownership is not just Singapore’s national policy. It is our state religion and a sacred belief that we uphold in this small island. How many of us can afford to not follow it? Some good quoted philosophical thoughts , and some scary tale of Hong Kong’s property market . However, wanting to buy a property a ( more like a home- not just a house) , is a necessity . This is basically an old Chinese wisdom of one of the 4 needs . A roof over your head , is 3rd in the list , after clothing and food . Singapore is quite unique in having predominantly public housing ( over 80%) – no other country has this number , or even close to it . It is NOT a religion – it is a necessity , partly because we are a City-state with little country space to provide other suitable alternative. In cities like Paris, it is reported that a huge majority of the residents are renters . Why ? Like London or other big cities ( similar to our City -state , properties are expensive , as in HK’s case. OR Tokyo , London , n New York , or Sydney etc , relative to their incomes and other factors. But at least in Singapore , Singaporeans, whether citizens or PRs , there are relatively good choices. But not in HK, for example. Even our 3-room HDB flats are BIG by comparison , and cost only a fraction of their prices. And what is wrong in buying an older HDB flat, in mature estates eg Toa Payoh, when one needs pay about $ 280K only ? Still have 55 to 65 leases left to last a lifetime , and in lieu of renting at about $1,800 per month . Based on such rental , the flat could be paid off in about 13 years only ! Does not need a genius to figure out which is better option , barring other barriers to be considered . So it is not about like religion , but practical reality n necessity !